A while back, like a year or so ago, I decided it was high time I learned to knit. I grabbed the needles I inherited and dove in, head first, as usual. I looked up videos on YouTube and struggled and struggled....and struggled. Last summer, I had a great opportunity to visit my mentor and help her out. In return, she showed me how she knits and it literally opened the door for knitting. Seriously. Without her, I probably would have given up. I had a great start, but I did not like it. Before, knitting felt clunky and I thought it should feel smooth like crochet, no matter the skill level. 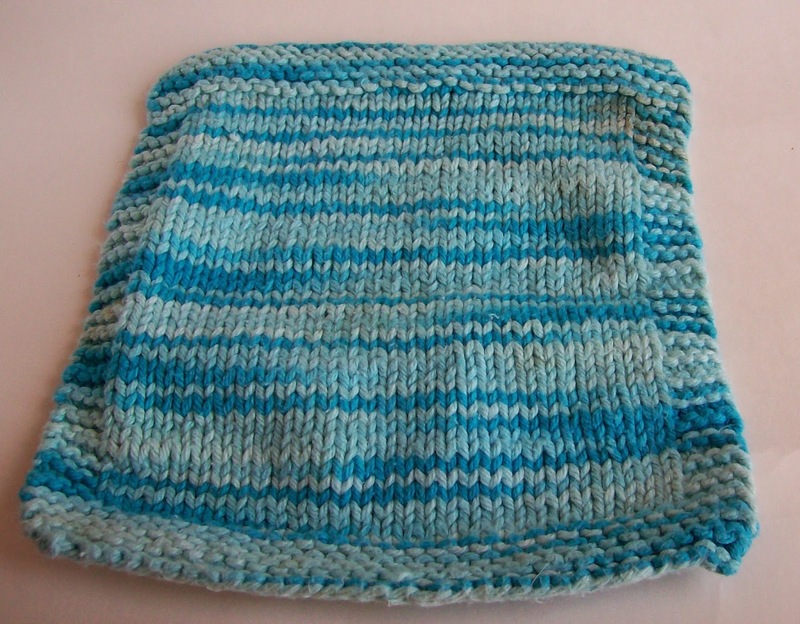 After, I was whipping up my first dish cloth. Continental Knitting made sense. I scoured YouTube. I watched the video my mentor sent me. I got it. I totally got it. It was similar to crochet and I made a dish cloth. Pictured here is dish cloth number 2. Dish cloths are easy to do and a chance to explore stitches. I do the same with crochet...if I'm not crocheting in the round (which I love!). More like Achievement Unlocked! I can knit! I like knitting! It's easy and makes sense. Mentors are cool people. Even if I'm not in touch as much as I want to be/should be. My craft skills include: sewing, crocheting, knitting. After I get the first step, I can teach myself stuff!